Ryan Cassavaugh is back with a new Christmas play! 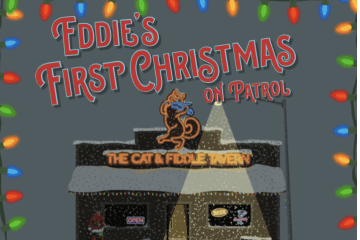 Eddie’s First Christmas on Patrol is the long-awaited sequel to Jimmy's First Christmas on Parole which you enjoyed at Verge in years past. Featuring the same actors but new characters and a new setting (a bar featuring an arrested Santa, natch), you can rest assured that you'll be seeing the most original Christmas play out there. As Ryan tells us, "Jimmy’s was just the beginning…"
This show is recommended for ages 17+ due to adult themes and language. $14 in advance; $16 at the door.